The ELHO Arrow 3200 Sideflow is progressive, trailed mower conditioner which combines ELHO’s reliable basic solutions and excellent usability. The conditioning rotor has straight pendulum flails and a spring-loaded counter bar. This solution is a tried-and-tested way of providing the quickest drying. 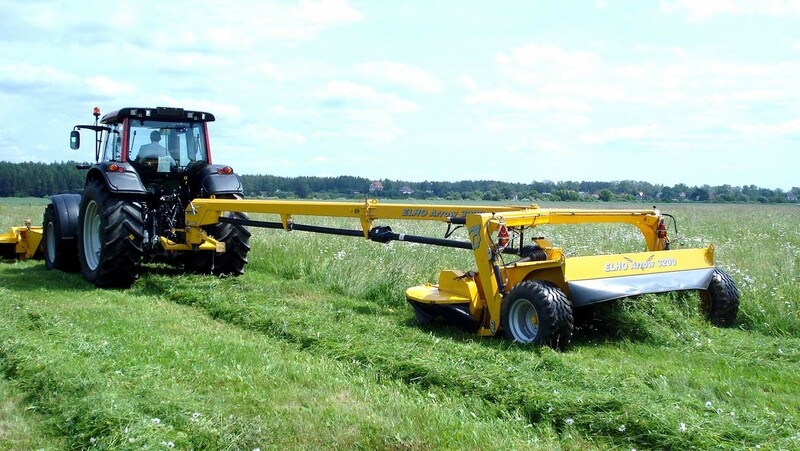 The large, adjustable back plate of a very spacious conditioning chamber breaks and turns the forage shower so that the straw is positioned as upright as possible in an even and fluffy, fast-drying swath. Small additional wings on the midsection of the ceiling of the conditioning chamber enable optimal adjustment of the swath which is especially important during the second and third harvest. 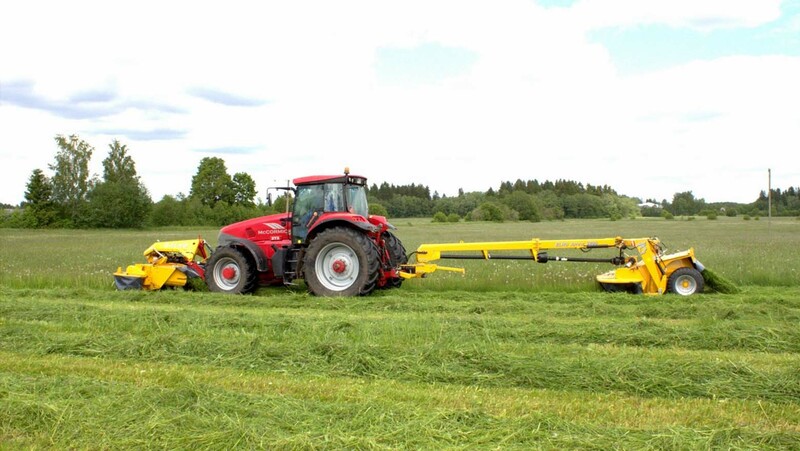 An even and clean swath is a prerequisite for high quality bale silage. Oval low-profile discs and optimally designed stone guards ensure a tidy and clean mowing trail. 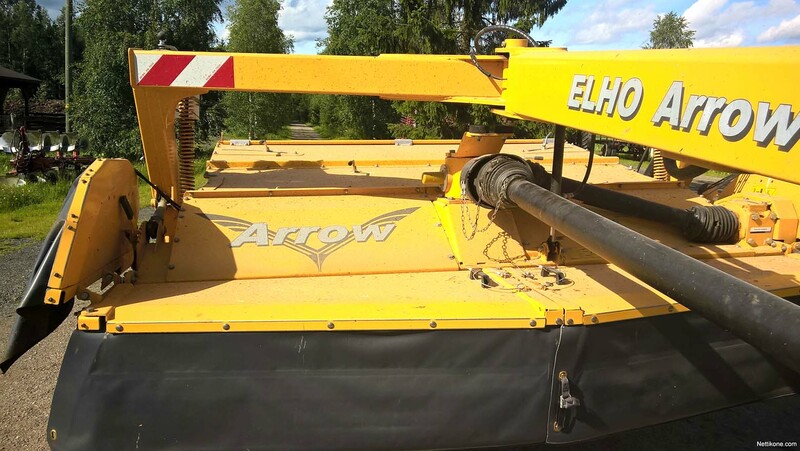 The Arrow 3200 has ELHO’s HydroBalance suspension system which uses nitrogen gas pressure to lighten the cutter bar straight above the cutting spot. This way the soft, shaped guards under the mowing discs follow the field surface smoothly and the forage stays clean.